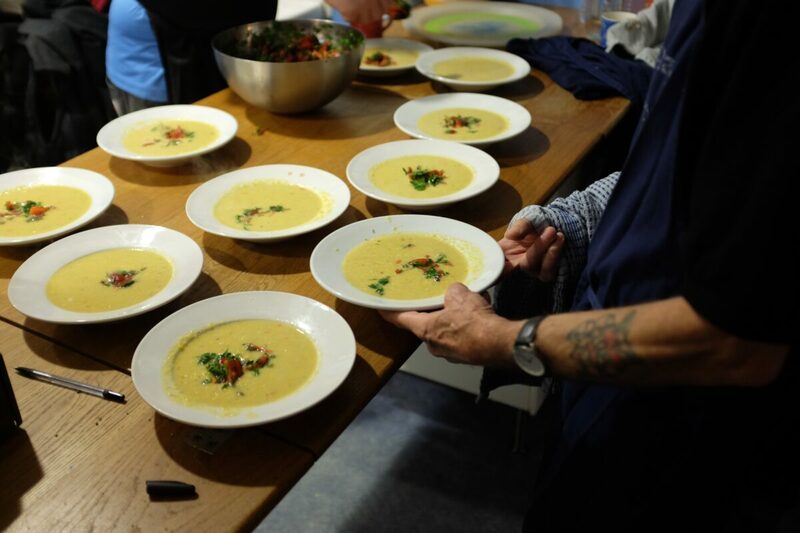 Tickets are now on sale for February's supper club designed to give you a flavour of Headway East London. Headway Eats is a relaxed dining experience led by a group of brain injury survivors who are rediscovering new talents and skills. Guests are treated to a three course menu, which has been developed and prepared by the team using fresh, locally sourced ingredients over a number of weeks. A great deal of the menu has either been grown by survivors in the Headway garden, or gathered from the local area. We think the finished result rivals other professional offerings across the city, whilst also offering something unique. Throughout the evening diners are also treated to readings, musical performances or talks from brain injury survivors which invites them to learn a little bit more about these inspiring individuals. This event is kindly sponsored by Anthony Gold Solicitors, meaning all ticket money supports our services!